On 22nd of February, we celebrate Peter as Bishop of Rome, and recall Christ's choice of Peter for service to the whole Church. 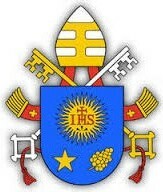 Peter was the first Pope of the Church. He was a fisherman before being called as an apostle. 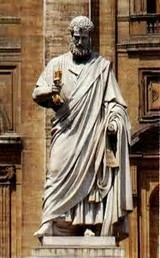 St. Peter died around 64 A.D. by crucifixion. Peter was crucified upside down because he did not feel he was worthy to die in the same manner as our Lord. "Let us ask the Lord, Who guides the fortunes of the 'Ship of Peter' among the not-always easy events of history, to continue to watch over this small State. 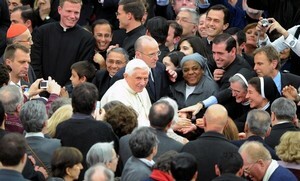 Above all, let us ask Him to help, with the power of His Spirit, Peter's Successor who stands at the helm of this ship, that he may faithfully and effectively undertake his ministry as the foundation of unity of the Catholic Church, which has its visible centre in the Vatican whence it expands to all the corners of the earth". 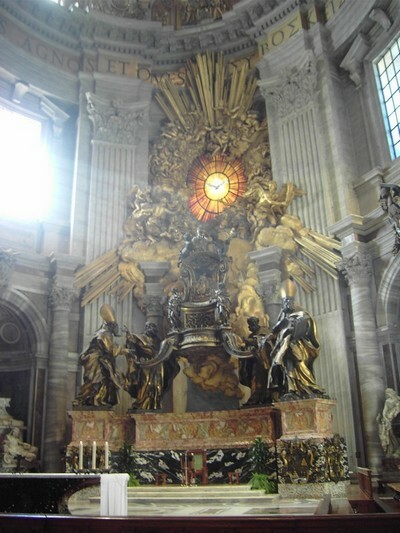 At the very end of St Peter's Basilica, Rome, is the tribune, which centres on the Cathedra of St Peter, designed by Bernini in 1666. Above this is the Holy Spirit as a dove, surrounded by 12 rays, symbolising the apostles. Then, around the chair, stand four of the great Doctors of the Church: To our left, St Augustine and St Ambrose, fathers of the Latin (Western) church, and to our right are St Athanasius and St John Chrysostom, fathers of the Eastern church.